At OB-GYN Women’s Centre of Lakewood Ranch, we are there for women during every stage of their life. Menopause is one of the biggest transformations a woman’s body will go through, and it can be both emotionally and physically challenging for many women. That’s why we offer comprehensive menopause care. Nothing, especially menopause, should stop you from enjoying your life. Menopause is a completely natural process that occurs to all women as they age. Every woman is born with a finite number of eggs, which are stored in the ovaries. These eggs are either shed every month, causing menstruation, or fertilized and beginning a pregnancy. Once a woman reaches menopause, it marks the end of both menstruation and her reproductive period. It’s a natural part of aging, which all women experience once they reach a certain age. Perimenopause. Several years before menopause begins, your body will start to change. Gradually, your ovaries produce less and less estrogen. Most women do not even realize they are in this phase until the very end of it. They will have a normal menstrual cycle and probably won’t feel any changes. Menopausal symptoms will not show up until the last year or two of this stage. Menopause. A woman has officially entered menopause once she has had her last menstrual period. At this point, the ovaries are not longer releasing eggs and producing estrogen. By now, menopause symptoms are in full effect. Postmenopause. The years after menopause are known as postmenopause. For most women, the symptoms of menopause have slowed down, however, health risks related to the loss of estrogen rise. The symptoms of menopause are unpleasant to say the least. Insomnia, mood swings, fatigue and migraines are just some of the common symptoms experienced by women going throughout menopause. They are all attributed to the loss of estrogen brought on by menopause. Luckily, treatment options exist to help combat these symptoms. At OB-GYN Women’s Centre of Lakewood Ranch, we offer hormone therapy and alternative treatment options for every woman. We will work with you to personalize a menopause treatment plan to best fit your needs and daily life. Menopause is just another phase every woman’s body goes through. Don’t let it hold you back. 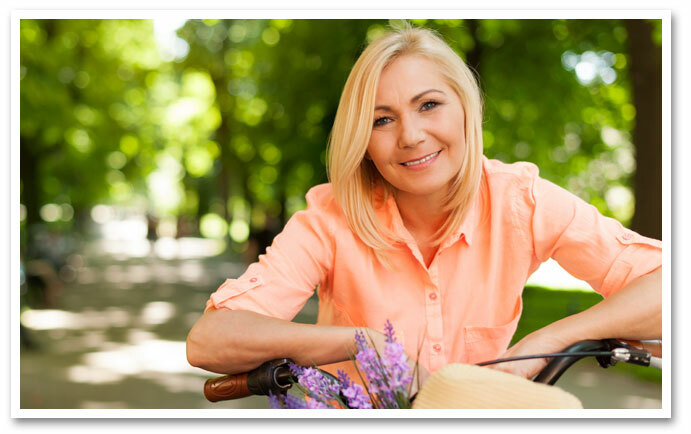 Call today and find out how our menopause treatment options can help you life your life normally.